The Norfolk Hotel is a wonderful 2 star family-run hotel that offers great value for money and an unbeatable personable service, a popular coffee shop, evening meals and entertainment. The Norfolk Hotel is a wonderful 2 star family-run hotel that offers great value for money and an unbeatable personal service, a popular coffee shop, evening meals and entertainment. The décor is simple and clean throughout ensuring a comfortable stay. The Norfolk is only a stone's throw away from the main town centre yet offers an outdoor swimming pool, a garden and a sun patio. Please note that the Norfolk only accepts bookings arriving/departing on a Saturday from 4th May - 20th September 2019. All rooms are en-suite with a selection of single, double, twin and family rooms. All guest rooms are equipped with a television, tea & coffee tray and hairdryer. Ciao! Coffee Shop is open daily for snacks and light meals. Evening meals are offered to hotel guests. 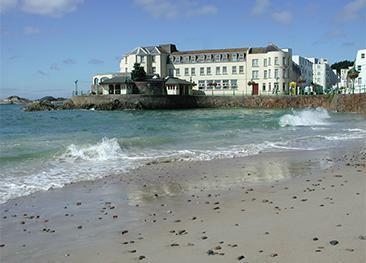 The Norfolk Hotel is located on the very edge of the main pedestrian shopping street in St Helier. Don’t hesitate to take a guided tour to discover the rich history that surrounds La Colomberie area. Very good value for money hotel is rated 2 star but standard and service was 3 star. Well done. We have stayed at the Norfolk Hotel for six years now. We love it. The hotel is really nice, very clean, the rooms are a little bigger than average with plenty of storage space. The food is excellent and all of the staff are fantastic, very friendly and very helpful. A very good deal the price we thought was very good.have used you before and will again. No complaints and hope to come back. Very good value for money and staff were excellent. Breakfasts were amazing and kept us going all day. All the staff are very friendly and the hotel is spotless. 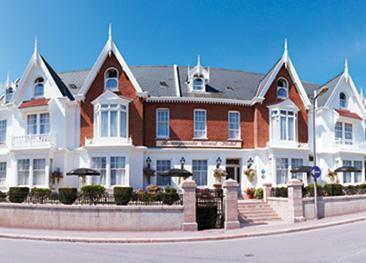 The Fort d'Auvergne Hotel is built on the site of a former maritime fort and is bordered by the sea to the south and the east. 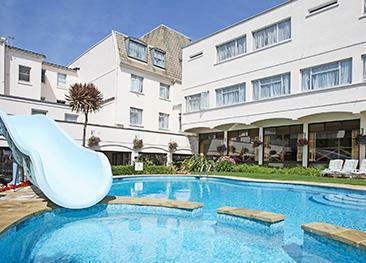 The Runnymede Court Hotel is a pretty Edwardian property and garden, on the outskirts of St. Helier's town centre.